Our team shares their absolute FAVES of the week. What are your faves? Share with us in the comments below! My fave of the week is a cute little bathing suit I picked up from American Eagle. I am so picky when it comes to bathers and always have trouble finding ones that are cute AND fit right. I found out American Eagle had a sale going on and fell in love with this high wasted, smocked two piece. I can’t wait to wear it this summer! I found this NYX Duo Chromatic Shimmer Lip Gloss in the colour “Crushing It” on sale at Shoppers Drug Mart for $5.99. I am obsessed with holographic makeup and have a thing for lip glosses (seriously, I have like 7 in my purse right now) but this gloss has a purple glow that I just adore. I am very happy I found this bargain! Check out your local Shoppers Drug Mart clearance section if you get a chance, there are usually some great deals. I’m such a snacker and I found the perfect treat to fit my sweet and salty palate. 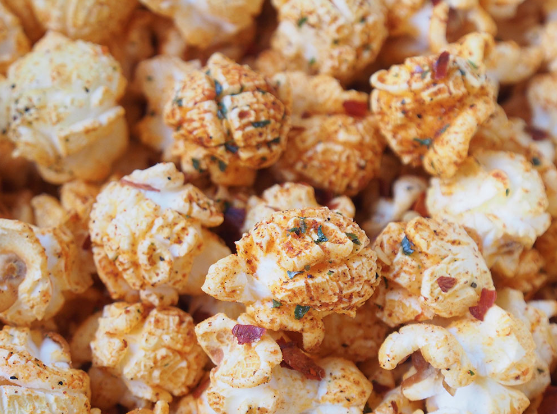 The Sweet Chili Pepper Popcorn by Toronto Popcorn Company is so tasty and the perfect in-between meal munchie. There are so many flavours available I can’t wait to try out more. My Friday Fave this week is a restaurant called Spoon & Fork. I have always loved Oriental fusion dining and could live on sushi so this place all I could ask for. With an all you can eat menu, beautifully crafted cocktails and a classy atmosphere how can you go wrong? The food was very satisfying and the service was even better. I am definitely going to have to go back next date night! My Friday Fave this week is a snack I have not been able to put down. 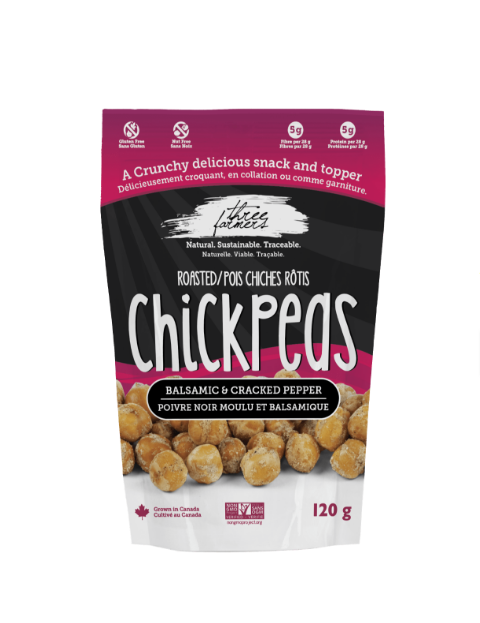 Three Farmers Foods has been my go to snack, I sprinkle their roasted chickpeas on my salads or just munch on it throughout the day. My favourite flavour right now is the Balsamic & Cracked Pepper roasted chickpeas, they are OMG good! I’m excited to try their Barbecue flavour next!